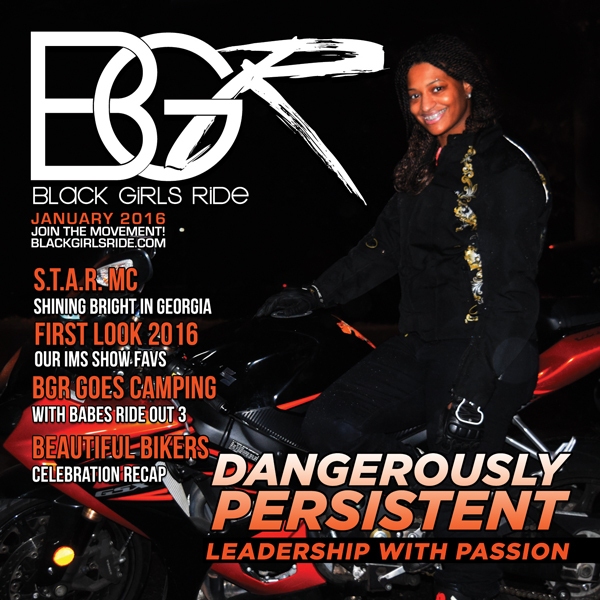 BEAUTIFUL BIKER: DANGEROUSLY PERSISTENT ‹ Black Girls Ride Magazine | Motorcycles, Accessories, Biker Fashion and Events for Women Who Ride! 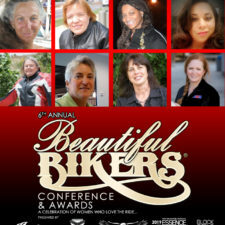 The community of female motorcycle riders is a tight knit group of women, who bond through their love of machines. Among them is Dangerously Persistent (or DP for short), a woman who has in a very short period of time, proven to be a leading advocate for motorsports rights. 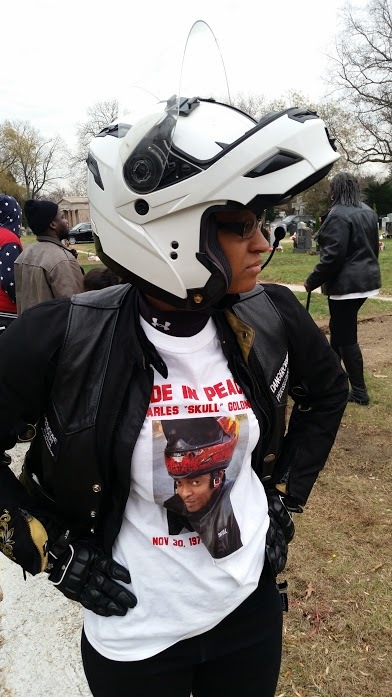 As the member of the PRO Convention team, and the Chairperson of the Women’s Coalition of Motorcyclists, she has consistently been called to serve and make our community a safer place on ground. 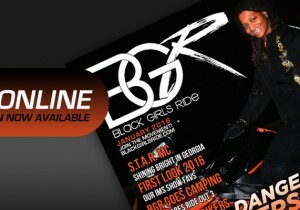 She took a moment to speak with us about her passion for riding, and her vision to help the community grow. I love riding, I started riding the summer of 2006 and by the grace of God I’m still going. #praiseYashusha LOL. Riding is one of my great passions. When I first started I had the “fever.” I rode everywhere and with anybody. I just wanted to get my miles up. I also had the competitive side where I raced anyone that challenged my abilities because of my gender. I outran plenty of dudes might I add. Twist that throttle back and I’m chucking up the deuces. I wanted to feel and experience the fastest my bike could go. #Ridefast and #Ridehard. In 2007 I had a bad accident, well to me it was bad, it could’ve definitely been much worse had I not worn my gear. Whew!!! A cager ran the stop sign on my way to the crib and BAM! It was all she wrote. I hit the floor hard, so hard when I jumped up in fear that I was gonna get run over by oncoming traffic I realized I couldn’t walk on my leg. I fell to the floor as I immediately lost any remaining strength I had in my leg. Desperate to get out the middle of the street and safe from ongoing traffic I forced myself up again and hopped along to the sidewalk where I fell and remained until help arrived. That moment changed my riding style. I thank GOD I had the courage to get back up and ride again. However, now I’m a bit more cautious. As God decided to spare my life, I decided to try and help other bikers avoid similar situations. I held training sessions in a parking lot to help new riders learn the safety techniques of motorcycling. 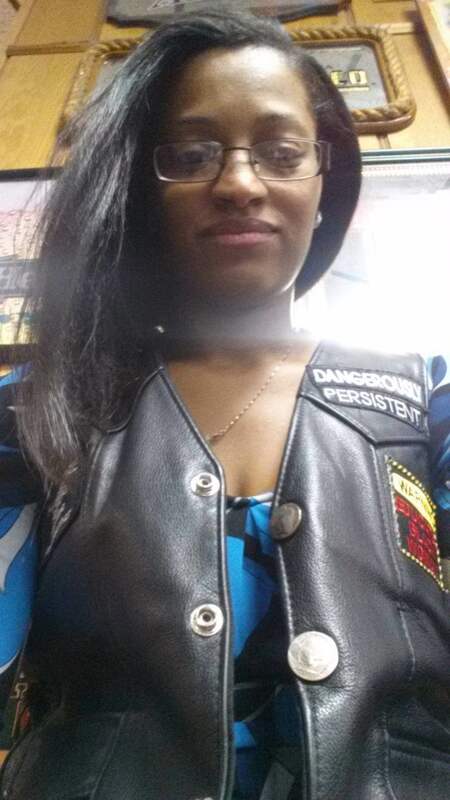 I was appointed chairwoman of the safety and training committee of Harlem Alliance and Bikers United (HABU) in NYC. Currently I’m in school pursuing a PhD to which I pray to finish within the next 2 years. It’s hard work but greatly important. I also teach microbiology and several clinical courses at a community college in my area. As a clinical scientist I’m currently conducting research on DNA barcoding of microbial life forms. Exciting work! Well to me anyway LOL. Lastly, I wanted to give back to my black community so I helped create a non-for-profit organization in Irvington NJ. The success rate for youth there is really low, I want to help change that. I was recently voted in as the chair for ODO (Youth) Achievement Center. I’m so excited to be apart of this new organization focused on providing a pathway of success for our people. This is extremely important to me. We’re a new organization, not even a year old but we are making great achievements so far. How did your passion for riding develop? 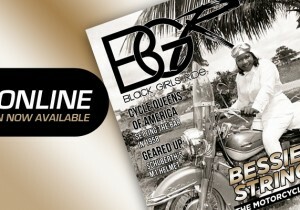 My passion for motorcycling began when a colleague invited me to Myrtle Beach for “Black Bike Week” in 2005. When I got down there, I was overwhelmed and impressed with the aggregation of black and brown people. I’ve never seen that amount of blacks together enjoying themselves ever in my lifetime. I was deeply impressed with the number of people and the variety of bikes. The different styles, makes, models, colors, artistry, etc. blew me away. I told my friends at that moment I’m gonna go get a bike. Of course they laughed and didn’t take my passion seriously. What they didn’t know–I was dangerously persistent. For the remainder of that year, upon my return to NY, I spent hours searching and e-mailing local motorcycle clubs in my area. Then finally I got a hit, someone hit me back. I told them my passion and how I needed help fulfilling my desire. He led me down the path of getting my license and even getting my first bike. To him I am truly grateful. After prospecting, I was voted in as an official member of a club. I was so excited, I was riding, I was legal. Now, I just needed to rack up my miles, and thus every opportunity presented, I rode. 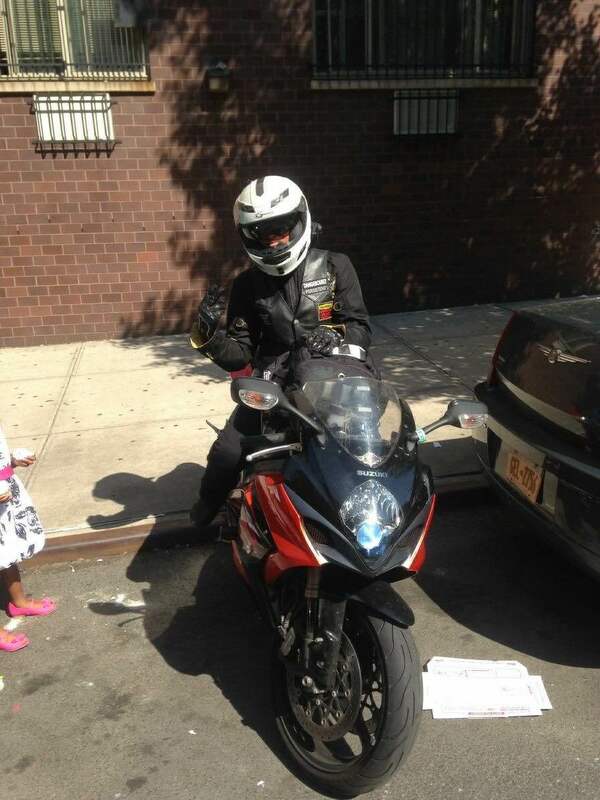 I started off riding within the five boroughs of NYC. I then ventured upstate to the infamous Bear Mountain, then eventually to NJ, then Philly in my first season. My second season I ventured a bit further to MD for the “MLK5 Memorial Ride”. My first real long distance ride was NY to Las Vegas for the “East Coast Meets West Coast event”. That was a “doozy”. I thought riding to MD was long distance, boy, was I wrong. Yet, I enjoyed the ride, I enjoyed the company and the overall experience. To relive that moment, I have now rode from NY to Dallas, to Mississippi and to Canada. Throughout my motorcycling experience I faced several challenges. The first was hate from fellow females, oh the shade! LOL. I found that females, unbeknowingly to me, would compete with me. At first I was oblivious to it, but then I caught on to what was going on. I respect the female that told me to this day. She acknowledged her flaw and apologized as she realized I wasn’t trying to compete with her. She felt badly for treating me the way she did. She realized afterwards that I wasn’t that type of chick and unfortunately she couldn’t deal with it. Although we are not friends today, I still respect her honesty. It revealed the possible types of females I may encounter in the future. The other challenge I had was buying my first bike. Embarrassing as it is, I was doped on what I thought would be my first bike. I went to the infamous Craigslist and found the bike of my dreams. A beautiful red and black 1998 Yamaha R6 (if I recall correctly). The seller said it was in London and would ship it, but needed a down payment. Most people I spoke with didn’t notice it was a bad ad. This was really early in Craigslist history, so many people didn’t know about this scam, including me. I went and dished out $2500 via Western Union. Boy oh boy did I make one of the biggest mistakes in my life. I was duped. There was no bike. I lost all that money and the FBI couldn’t help me. I called everyone. Only to find many are getting duped by the same means. I was discouraged and didn’t know who to trust. But we learn from experiences, right? So I created a Web site of my own years later based on the experience I had. This website was dedicated to the motorcycling community and allowed a free and safe platform for both buyers and sellers. I thought we, the motorcycle community, needed someone with a vested interest in motorcycling to run a classified website exclusively for us. And thus www.copabike.com was born. When life gives you lemons make lemonade. I don’t want anyone to go thru what I experienced. I am dedicated to educating as many bikers as I can about potential scams out there and to providing them with a safe atmosphere to buy and sell their bikes and motorcycle-oriented items. The PRO Convention has grown into quite a phenomenon. Can you talk more about how the PRO Convention began, how you became a partner and what keeps you going? The MC Professional Convention AKA The PROC had its start in Philadelphia, PA in January 2004. It began as a “Get-Together” for Public Relations Officers (P.R.O.) from urban motorcycle clubs, predominantly in the North Eastern portion of the country, to speak on current affairs within the MC Community and fellowship. From its inception, “The PROC” has grown from a small gathering of 100 or so bikers in a small bar in Philadelphia, PA for a one-day event, into a three day weekend. 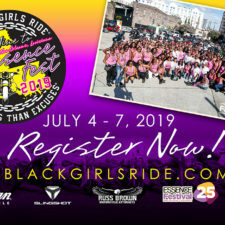 The “PROC” encompasses: education on safety, maintenance clinics, MC protocol, guest speakers like Rickey Gadson, female panels on sisterhood, club officer breakout sessions and more. There’s something for everyone. There is also a Friday night Meet and Greet and a Saturday night after party to unwind from the rigorous schedule of daytime education and activities. Having been around for over a decade, “The PROC” has attracted an average of 4000+ attendees from all over the country. The PROC takes place every second weekend in January in major cities likes Atlanta, Tampa, Houston and New Orleans to name a few. 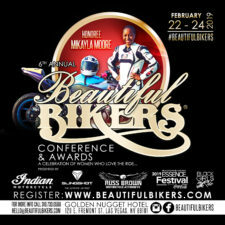 The MC Professional Convention is open to all bikers and the M.C.Community at large. This January the 2016 PROC will take place in Norfolk, Virginia hosted by Flaming Knights MC. This is what keeps me going. I love being in an atmosphere for learning. I have personally conducted and set up seminars for PROC. I’ve hosted a seminar with the ladies of the Women’s Coalition of Motorcyclists on motorcycle maintenance, riding legal, and buying and selling motorcycles, to name a few topics. 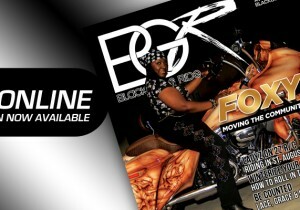 I love being involved in the betterment of the motorcycle culture. I also like meeting new riders from other parts of the country and learning where they come from and what riding is like in their area, especially if I hadn’t ridden there as yet. What is your vision for the future of the PRO Convention, say ten years from now? I would like more people to get involved, the PROC is what you make it. There are many influential people out there with something great to say. The PROC definitely provides that platform. I would like participants to become empowered and to tell us what types of seminars they’d like to attend. This will help us cater to the masses. I would very much like to see more collaboration between PROC and other entities like AMA, NCOM, and IMS for example. I would also like PROC to become more diversified and enter new states. I’m ready to meet bikers from Nebraska, South Dakota and New Mexico for instance. Eventually, maybe beyond the 10 year scope I’d like to see a collaborative effort with the bike week in Africa. What has been your best experience while working on the PRO Convention? Definitely meeting new people who are influential in their communities. There are a ton of great people out there putting in phenomenal work. I learned about the Round Up via PROC and had the opportunity to meet one of its founders last year in New Orleans. We had an awesome conversation on the history of the Round Up. Women riders have come a long way, but not far enough. That’s ALL about to change with the formation of the Women’s Coalition of Motorcyclists (WCM), which has united representatives from the American Motorcyclist Association, MAD Maps, Motor Maids, Pro Convention, the Women’s International Motorcycle Association USA, Women in the Wind, Women On Wheels® and the Women’s Motorcyclist Foundation in a shared objective: to double the number of female riders by 2020, and to increase and support women riders and their advocates. 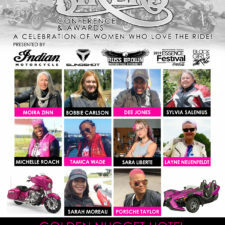 Tell us about the Women’s Coalition of Motorcyclists? How and why was it created? Promoting dynamic role models and wider riding opportunities will serve as catalysts to draw more women into all aspects of motorcycling. The WCM has and will continue to establish motorcycle industry partnerships to build a scholarship fund. The fund will support aspiring female rider coaches and instructors, as well as promising female competitors in all disciplines: on-road, off-road, and on the track. 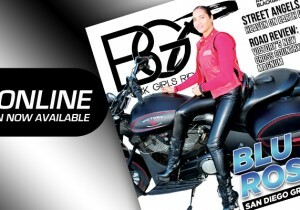 I cannot emphasize enough that non-riding females must see themselves as riders to embrace motorcycling. Visible female role models as trainers, competitors and riders in all disciplines will inspire the uninitiated to become motorcyclists. WCM may appear to be women-oriented, but it has far broader implications than its name suggests. WCM will develop a “toolbox” of strategies and techniques for dealers to welcome and cultivate long-term relationships with female customers. Knowing the purchasing power women have, we need all women to serve as motorcycling advocates: as riders, passengers and/or as parents and partners of those who do ride and compete. 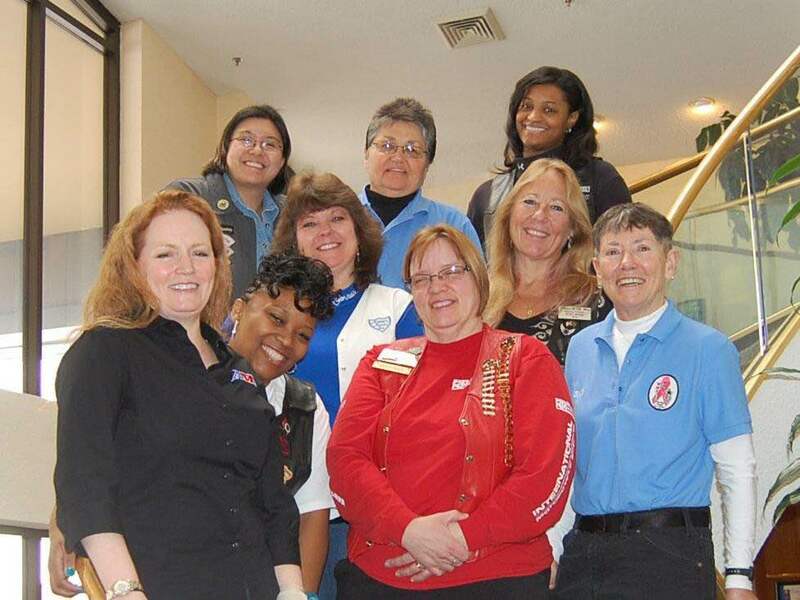 What is your vision for the future of the Women’s Coalition of Motorcyclists, say ten years from now? I would like the same for both organizations (PROC & WCM). I would love more female involvement and collaboration, more opportunities for fellowship and riding with each other, more industry collaboration, more females riding and leading the charge in motorcycle safety, maintenance and mechanics. 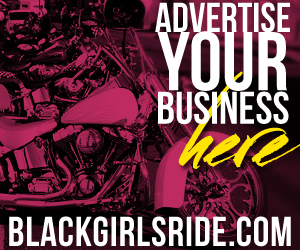 I would also like WCM to be a leading entity for females wanting to become a biker, a racer or an instructor. If you could change anything about the world of motorcycling today, what would it be? Unity and the role of women in motorcycling. I would make it more unified. There is too much tension, violence and hate. We need more love, fellowship and collaboration. I understand the purpose and function of the rules and conformity but there should be a line drawn. New riders to the community should come in with a level of respect. Bikers who have been in the game for a while should take on a more educative role. Respect the game, respect the colors, cut out all the bullying. We also have to collectively come to grips with the nuances that surround our world. We have to leave some room for people to be individuals and recognize the game can’t, won’t, and shouldn’t remain the same throughout generations. As long as basic principles are maintained like prospecting, riding and fellowship remain the same, then stand down. I.e., a rider wants to make his colors more visible at night so he decides to line his lettering with reflectors. He’s part of a motorcycle club not a motorcycle gang. If his club isn’t into criminal activity then let him live, he took a creative and innovative approach to being seen at night. Something that was not available at the start of the motorcycle club creation. Either 1903 when the first motorcycle club in the United States was created or 1945-1947 when outlaws decided to go against the norm and form their own clubs that purposely didn’t comply with AMA sanctioned rules and regs. 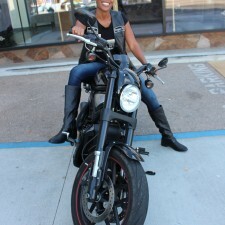 As mentioned previously I would also change the way women are viewed in the motorcycle community. I recognize that women have been subjugated by men for centuries. It’s even referenced in the bible. But Women are the building blocks of creation. We should be honored as queens not treated as beneath men. As I see it, we have an equal role in society. Women in the motorcycling community have been seen as less than wholesome. Granted there are many less than wholesome females in our current community, but there are also wonderful, dynamic, wholesome females who are phenomenal women, powering through adversity and misconceptions. In order to change the way men look at us collectively we have to inspire women to value themselves more. Do you have any advice for people who want to get into motorcycling? For those that wish to get into motorcycling I’ve devised a 10 step process. This should transcend cultural upbringing and background as well as riding styles and preferences. 1. Research: So, you want to ride? Find out what type of bike “grinds your gears”. 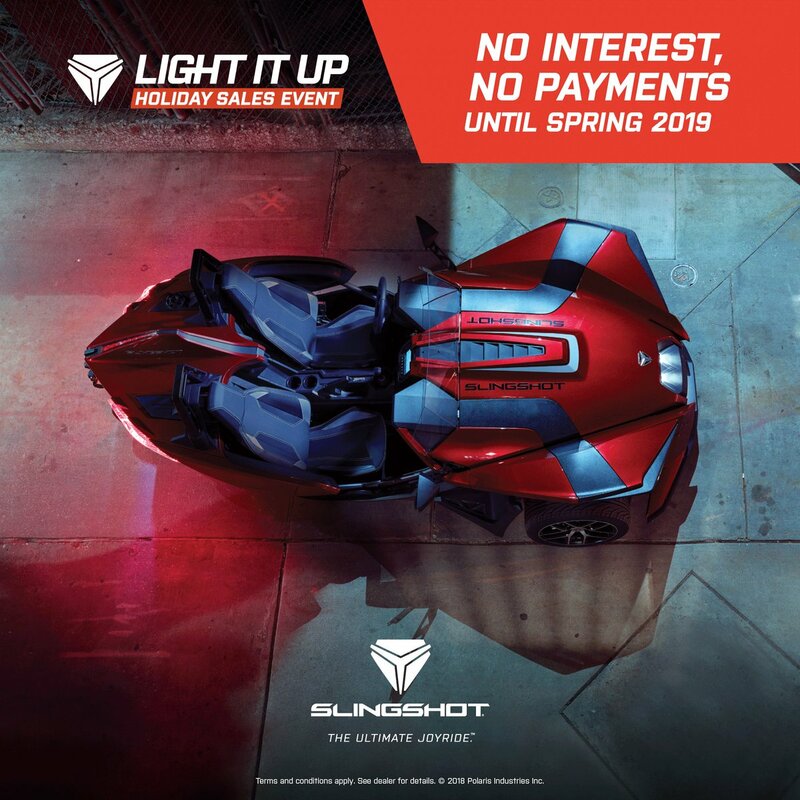 There are many to choose from (sport bikes – for my speed demons; cruisers – for those who want to lay back and enjoy the ride; sports tourers – for those that want the speed of a sportsbike and the ride of a cruiser, etc.). Visit a bike show and be sure to sit on as many bikes as you can. This will give you the feel of different styles of bikes at once. 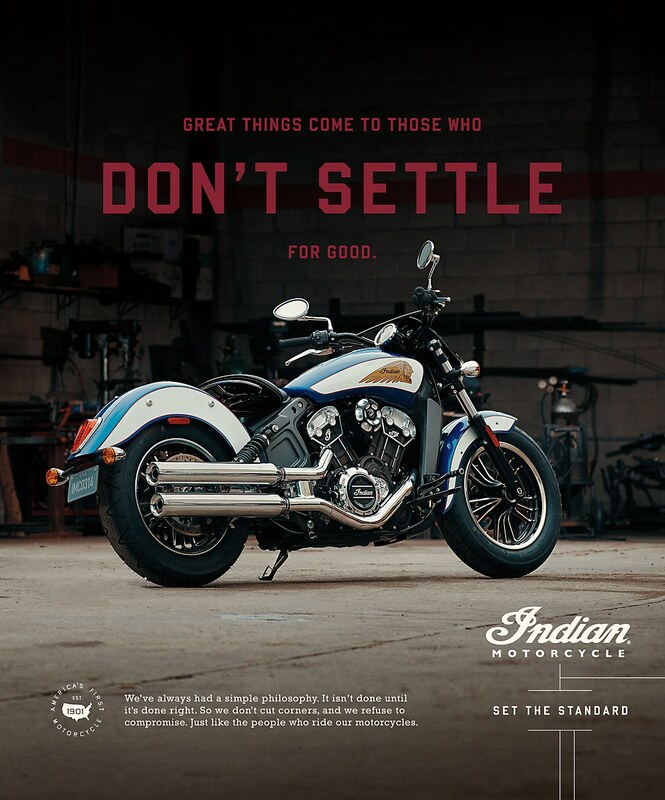 With this process you can narrow down the choice to the bike that’s just right for you. 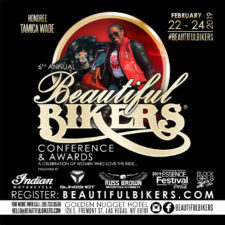 Please note, bikes at the bike show will be the latest model year. For your first bike you want something much older (See below: step 4). Also visit your local DMV’s website to determine the motorcycle licensing process. Lastly, find out what local motorcycle riding clubs are in your area. 2. Gather around like-minded people: They will help guide you towards the purchase of your first bike. This could be a motorcycle club or local riders in your neighborhood. 3. Take the test and get your license to ride: This is a very important step. Head to your local DMV and get the study guide for the motorcycle test. When ready, take the written portion to obtain the permit. Once completed you have 2 options; Learn and practice riding with your buddies, then take the road test with your local DMV or attend a motorcycle safety school, which will provide all the basics and safety techniques for riding. Successful completion of their program will garner you your motorcycle license. I highly recommend the latter approach to obtaining your license. Remember each state is different so the process may not be the same in your state (Refer back to step 1). 4. Buy old – something raggedy but decent that you wouldn’t mind beating up. Raggedy doesn’t mean barely running, but more on the lines of something old that you could wreck and won’t cost an arm or leg to fix it. Everyone one goes down or at least drops their bike once in the first year. It’s a learning process. 5. Buy what you can see and feel before money is exchanged: I have an awesome guide for buyers on my website you could reference. Be very weary of a seller who claims to be in the military, aboard with their bike and willing to ship it. You should always personally inspect any potential vehicle before dropping any money down and never use Western Union as a form of payment. PayPal is a much safer form of payment. 6. Take a mechanic: Bring someone who is bike savvy with you when you’re going to scope out your first set of wheels. 7. Safety first: Even if you get really good at riding, never put yourself above the bike. Respect the machine at all times. This “thing” can result in severe injury or death. Gear up! It’s for your own good. 8. Don’t be afraid to travel: Motorcycling is better experienced on a nice road trip with friends. 9. 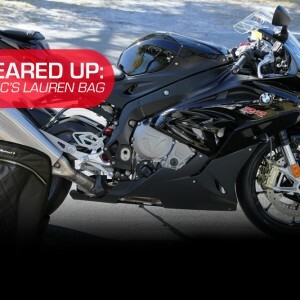 Attend a track day: Not only is it fun but it will also enhance your riding skills on the street. 10.) Have fun and ride safe: This is self explanatory.